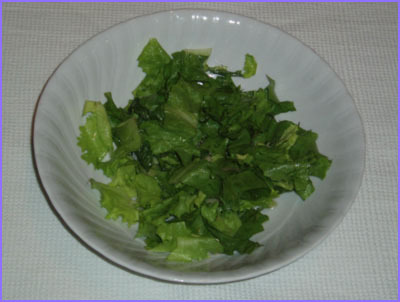 Take 200-300 grams of any kind of lettuce, wash it and tear into small pieces. Add a preferred amount of oil, vinegar and salt. The salad is then ready; you can eat it with almost all other meals described here. Small amounts of the following natural spices can be added to this meal: basil.